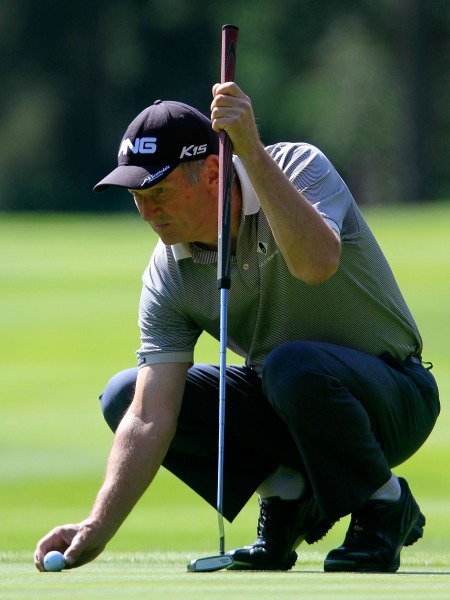 The Dubliner, who is still searchigng for his first European Senior Tour win, doubled the par-five fifth and the par-four 16th in a one over 73 that leaves him alone in sixth at the Duke’s Course on two under par. Walton recovered from the seven at the fifth with birdies at the seventh, ninth and 11th but he then bogeyed the 12th and 13th and then followed a birdie four at the 14th with that six at the 16th. Montgomerie made a stunning run of six consecutive birdies to surge into three-stroke lead in his bid for a maiden European Senior Tour success. After trailing by one overnight, the Scot looked in imperious form in signing for a second 68 in a row to move three clear of two-time Senior Masters champion Carl Mason on eight under par with Scotland’s Ross Drummond is a shot further back. There were deceptive conditions for the second day’s play with blue skies and glorious sunshine belying a swirling Woburn wind and a fast and firm Duke’s Course. Scoring was difficult and only ten men finished under par by close of play. Denis O’Sullivan’s 73 moved him up nine spots to tied 48th on six over while defending champion Des Smyth, who was bidding to win the title for the third time in four years, failed to make a birdie and shot an eight over 80 that relegated him to 56th on nine over. 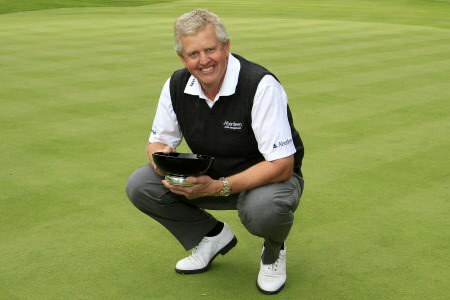 But Montgomerie, this week making just his third appearance on the Senior Tour and chasing his first professional victory since the 2007 European Open, revelled in the challenge, bouncing back from an opening bogey at the par five first with six straight pars. 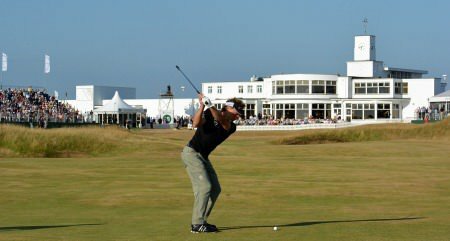 It was at the par four eighth, though, that his round caught fire, holing a 30-foot birdie putt to kick-start a run of six birdies in succession in what was a true masterclass in iron-play. Montgomerie two-putted for a birdie at the long 11th but besides that the eight-time European Number One’s gains at the ninth, tenth, 12th and 13th holes all came after hitting his approaches to three feet or closer. “I didn’t really have to make one putt in that run after holing that long one at the eighth,” said Montgomerie, who made a second bogey of the day at the 14th before parring his way in. “So my irons are good, it’s just a question of getting into the right positions and then trying to take advantage. The fairways have firmed up a lot in the last few days and when that happens this course becomes difficult so it’s a question of managing your way around. The leader also took time out to send his best wishes to the hospitalised Bernard Gallacher, who captained Montgomerie in his first three appearances in The Ryder Cup. 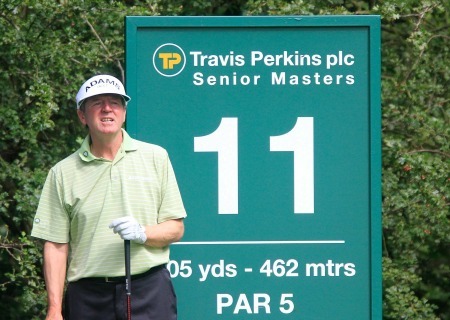 Des Smyth is just three behind Denis Durnian at WoburnDes Smyth is just three shots behind leader Denis Durnian after the opening round of the Travis Perkins plc Senior Masters at Woburn. 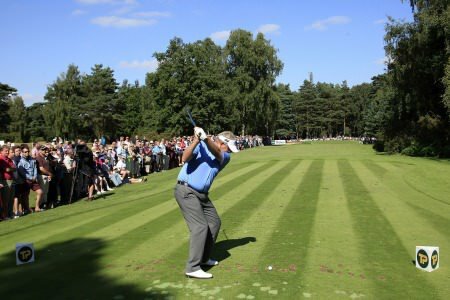 Philip Walton is chasing a €52,299 top prize at WoburnPhilip Walton bounced back from his Scottish Seniors Open disappointment with a three under 69 that leaves him just two shots off the pace in the Travis Perkins plc Senior Masters at Woburn Golf Club.